This page is being assembled to provide BECK Speedster® and BECK Spyder® owners a list of Factory Authorized Service Facilities in the USA. 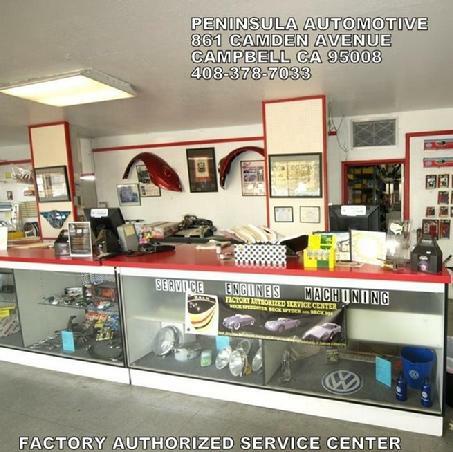 Each of the facilities listed has proven to be an honest, reliable and above all, professionally operated automotive service facility with knowledge of our products. In some cases these shops have been recommended by satisfied customer feedback. In other instances we have established relationships with these shops through initial contact when they first scheduled a BECK product in for a scheduled maintenance, Warranty issue or repair. In each case these shops have performed to both ourr and the customers complete satisfaction. Many of these shops now have earned multiple BECK customers as well as referrals from our customers to their friends and neighbors. This list is in it's infancy. We are going to update it as we have time. If you have a shop you would like to recommend, or if you are a shop owner now servicing BECK product and would like to be listed, please email me directly at kevin@beckspeedster.com and put AUTHORIZED SERVICE FACILITY INTEREST in the subject line please. A 2' x 6' banner is sent to each facility that is approved, and they will be added here upon receipt of a picture of their facility and banner placement. 1919 W. Sam Houston Pky N.